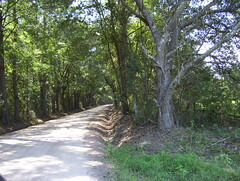 Canopy Roads of South Georgia is about life and issues outside of the city and off the main roads. South Georgia and north Florida call them canopy roads. Hawaiians and others call them tree tunnels. On the back roads, where development hasn’t come; that’s where you find them. Focused primarily on rural, agricultural issues, the blog is a mix of country life at Okra Paradise Farms, and issues related to community, farming, weather, food, botany, ecology, wildlife and sometimes even local politics. My company helps GreenLaw, a non-profit lawfirm, tell their sustainability story. One of the places they defend is the Altamaha. We are always looking for additional photos to help us illustrate what the GreenLaw cases are fighting for. I saw the photos in your post on the Rayonier/Altamaha, (posted below). I was wondering if you took the photos/have rights to them and if there is any chance we can use them for some of our social media posts and possibly grant applications? When we are allowed to give credit for images, we will be happy to do so. Thanks for any consideration. No problem if you can’t share. I took the picture that has my name under it; you may use it with credit to me. For the others you’ll need to ask Altamaha Riverkeeper. Keep up the good work.